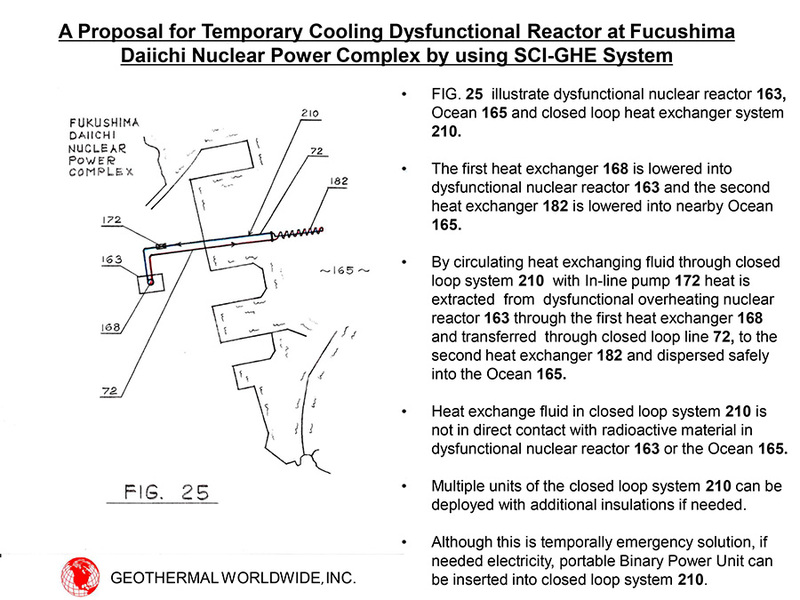 After disaster in Japan in 2011 and news that dysfunctional reactor at Fukushima Daiichi Nuclear Power Complex was cooled by sprinkling Ocean’s water on the reactor and that contaminated water was returning into Ocean we made a proposal for cooling dysfunctional reactor without polluting the environment by using our SCI-GHE system. The "Tokyo Electric Power Company" (TEPCO), Washington Office and subsequently the “International Research Institute for Nuclear Decommissioning” (IRID) has been informed and offered help. In this particular case licensing was/is not required.